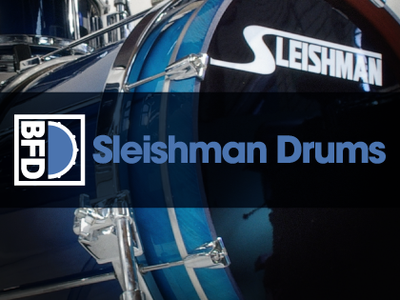 BFD Sleishman Drums is an expansion for BFD3, BFD Eco and BFD2 featuring Sleishman free-floating drums. Sleishman's system of suspending the drum shell without any physical contact with lugs and other hardware with a patented tuning system keeping both heads precisely in tune results in unique sound, sustain and dynamic range. BFD Sleishman Drums features a Maple Classic kit and a bonus reduced-detail 14" maple snare played with both sticks and rods (from BFD Sleishman Snares). The kick is tuned to be punchy and tight and is recorded with felt and rubber beaters. The 3 included toms possess stunning natural sustain and are provided with additional rim shot and rim click articulations (BFD3/BFD2 only).